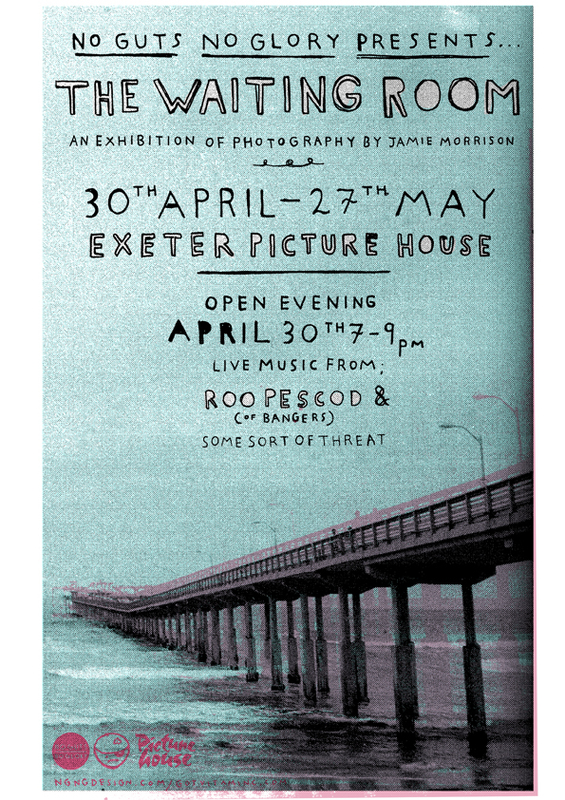 I'm exhibiting a whole bunch of painted photographs at The Picture House in Exeter next week, the opening night is on Tuesday. It should be fun, my buddies Roo and Rory are going to play some music on guitar and keyboards and Nathan and Hayley, who run No Guts No Glory (who, by the way are arranging the whole shindig) are going to be making some limited edition poster riso prints of the photograph from the poster below and maybe some delicious cakes. Anyhow, the bottom line is that it should be cool and it would be great if some people came out to take a look at the photos and enjoy themselves. I've already seen them all you see. Oh and BANGERS are playing at the Cavern later on so that's another good reason to be in town that night. 'The Waiting Room' Photo Zine preview from gotvitaminc on Vimeo. There are 20 copies and they are all stamped and numbered. Get one while they're hot! If any are left over i'll put them in my online shop.